CD Projekt RED, the Polish developer of The Witcher series and the owner of GOG.com, held its Spring Conference yesterday and made a series of announcements for both the game franchise and the digital distribution service. Marcin Iwiński, the co-founder and CEO of CD Projekt, began by thanking fans for the success of The Witcher 2: Assassins of Kings, which has sold over 1.1 million units and received widespread acclaim. 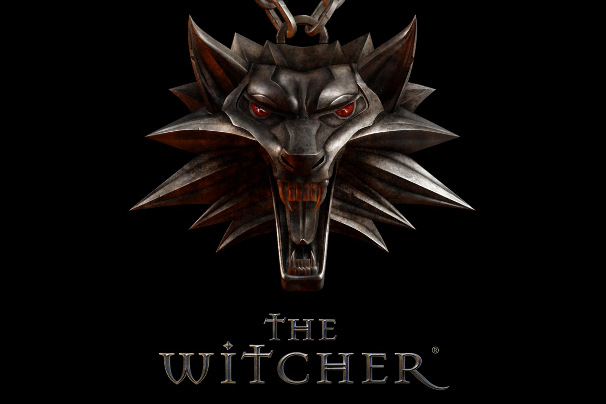 Iwiński presented a brief preview of a forthcoming 6-minute trailer whose narrative illustrates what The Witcher is all about; the full trailer will be released to market the debut of the series on the Xbox 360 later this month. On April 17th, an Enhanced Edition of The Witcher 2 will be released on both the PC and Xbox 360 platforms. This will be the most polished and definitive version of the game, incorporating more than 100 improvements and fixes, many of which are based upon fan feedback. The Enhanced Edition includes 4 hours of brand new gameplay and 33 minutes of new movies and cinematics to flesh out the story, including a big outro and a CGI intro. The Witcher 2 is CD Projekt's first release on the 360, and it has been built from the ground up for the console with optimized and improved graphics. 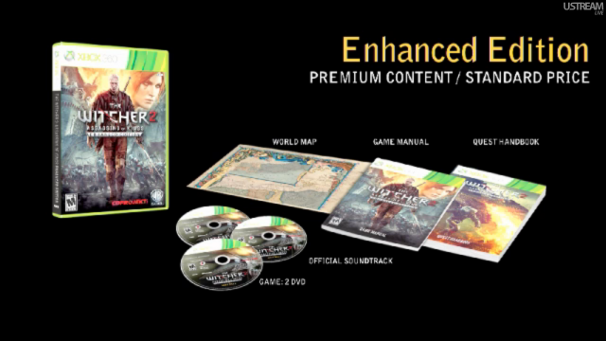 Both the PC and 360 versions of the Enhanced Edition will include a soundtrack, a world map, the game manual, and a quest handbook, which guides players through the game. These contents, reminiscent of a collector's edition package, are available in the standard release at normal price. Current owners of The Witcher 2 can automatically update to the Enhanced Edition with the digital version at GOG.com. This free update with over 10 GB of content will also be available on April 17th; users can pre-download 95% of the data at any time beginning April 11th. 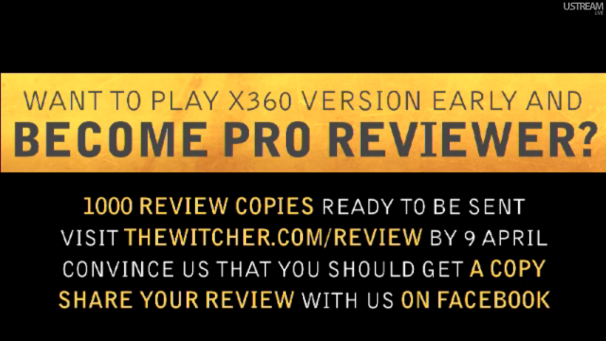 With the Xbox 360 release of the Enhanced Edition, CD Projekt is initiating an amateur review program: 1000 free copies of the game will be sent to fans who register on the program's website and make a case explaining why they deserve a review copy by April 9th. Those of us who don't make the cut can still get something for nothing when The Witcher digital comic comes to iOS, also on April 17th, free of charge. The comic features interactive action elements and will be available for both iPhone and iPad. In other Apple news, the Steam version of the first Witcher game is available on Mac as of today. As is customary with the SteamPlay feature, owners of the game on PC or Mac can also play on the other. The Witcher runs on Mac hardware that is 3 years old and newer. As a gesture to thank fans, CDP will allow anyone who has purchased The Witcher 2, regardless of store or format, to download a free backup copy through GOG.com at this address without any DRM beginning April 17th. This is the most complete edition of the game available digitally and includes all assets included in physical editions, such as the art book, making-of documentary, world map, and soundtrack, effectively normalizing the various editions of the game for all users. The conference provided several other announcements from GOG.com, as well. 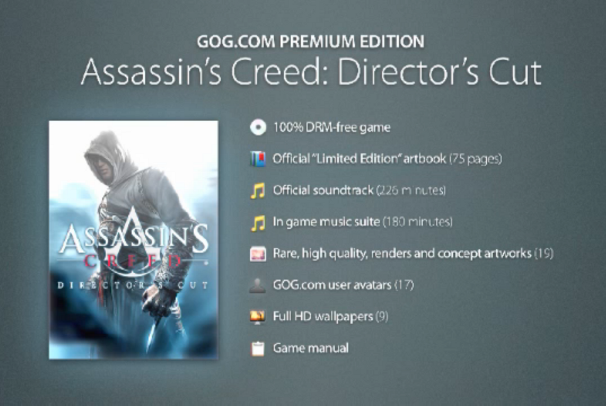 PCWorld previously covered the service's relaunch, and Managing Director Guillaume Rambourg detailed plans today for new premium editions of games from big publishers, starting with Ubisoft's Assassin's Creed: Director's Cut and Might & Magic V. It must be magic indeed that convinced Ubisoft to relinquish DRM for even a moment! These packages will be comparable to the bonus content-heavy editions of the Witcher games on GOG with art books, soundtracks, maps, user avatars, wallpapers, and more. Premium editions will be priced at $19.99, but until April 12th these first two releases can be purchased together for the price of one in a special promotional deal. Furthermore, Botanicula, the forthcoming adventure game from Machinarium developer Amanita Design, is now available for pre-order through GOG. It will be released on April 19th for $9.99, but early buyers get a dollar off. GOG customers can expect many more DRM-free day-1 releases like Botanicula and Legend of Grimrock, but, as the recent addition of Wing Commander IV (with previously rare DVD-quality video!) to the site's catalog demonstrates, classic games continue to be a priority. Rambourg emphasized the importance of the new community wishlist, which allows users to vote for requested games and site features. GOG claims a total of 120,998 wishlist votes fulfilled to date. 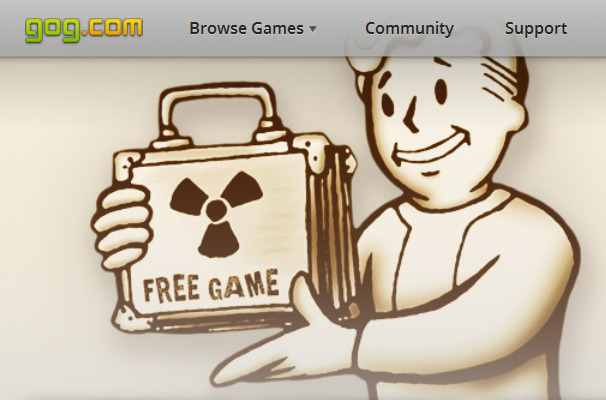 Finally, to thank its community for the service's ongoing success, for the next 24hours GOG.com is giving away the original Fallout completely free, with all the usual extras intact, including the Fallout Bible. Simply head to this page and click the button on the right; the game will be added to your account with no hassle.